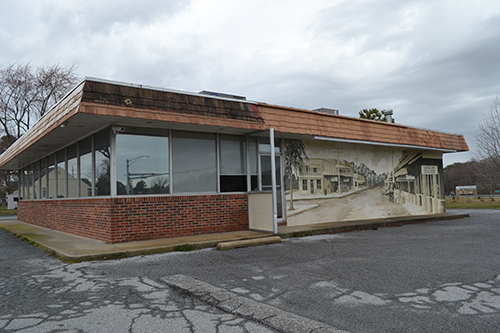 BERLIN – Much to the excitement of area residents, the long vacant building once home to Boomer’s Restaurant is set to become a crab house. Town officials announced this week the seafood restaurant Crush and Crab was expected to open at 525 South Main Street on June 1. The space just off Route 113 has been one of the town’s key commercial vacancies since Boomer’s closed. Cookro is working with fiancée Valerie Hopkins to open Crush and Crab. As the name suggests, the restaurant will feature blue crabs and the locally popular orange crush cocktail. The eatery will be seeking a liquor license from the Board of License Commissioners in April. “It’s going to be a crab house but we’re not doing all you can eat,” Cookro said. Instead, Crush and Crab will offer a breakfast, lunch and dinner menu. While it’s a bit unusual for a seafood restaurant to offer breakfast, Cookro, who has a background in the hotel and restaurant business, said it was something he was used to offering. He added that it particularly made sense with the restaurant’s proximity to Worcester Preparatory School. “To me, it’s a no brainer with the morning traffic there,” he said, adding that breakfast highlights included a crab and oyster omelet. Breakfast will be offered from 7-11 a.m. The restaurant’s lunch and dinner fare will be available from 11 a.m. until closing. Cookro says the menu will feature everything from crab dip and chicken wings to seafood-centric broth bowls. Crab cakes and crab imperial will also be staples. As Boomer’s did in the past, Crush and Crab will offer carry out food and ice cream. Cookro says he’s been talking to Burley Oak Brewery and Chesapeake Bay Farms about offering a root beer float. “I want to involve as much of the local fare as I can,” he said. Cookro says he’s excited to bring life back to the long dormant restaurant space open again. “It’s a great location and solid building,” he said. He says the space is ideally located, with the local ball fields on one side and a major highway on the other. Being out of Berlin’s immediate downtown doesn’t bother him at all. While the building is in good condition, Cookro says he’s reworking the layout of the dining area to make it more appealing. Cookro says he’s hoping to have the restaurant open by June 1 but that will depend on getting approvals from the necessary regulatory agencies.